The Aboriginal Practice Leader is a newly established practice leadership position in each Hub. 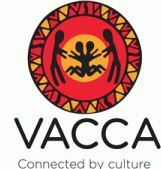 The Aboriginal Practice Leader will work in close partnership with the Hub Manager, Practice Leaders, the Aboriginal Hub Practitioner, the Service System Navigator and Team Leaders to lead high quality, culturally safe and effective responses to Aboriginal people seeking support and safety through the Hubs. Additionally, the Aboriginal Practice Leader will work to build and maintain effective partnerships with Aboriginal services and communities within the Hub Network to support choice for Aboriginal people. This is an Aboriginal and/or Torres Strait Islander designated position, classified under Section 12 Special Measures of the Equal Opportunity Act 2010. This employment opportunity is only available to Aboriginal and Torres Strait Islander people. Please quote in application: Aboriginal Practice Leader (Morwell) via Pro Bono Australia.